Small Animal Talk: Is laboratory animal welfare as good as we think? Is laboratory animal welfare as good as we think? 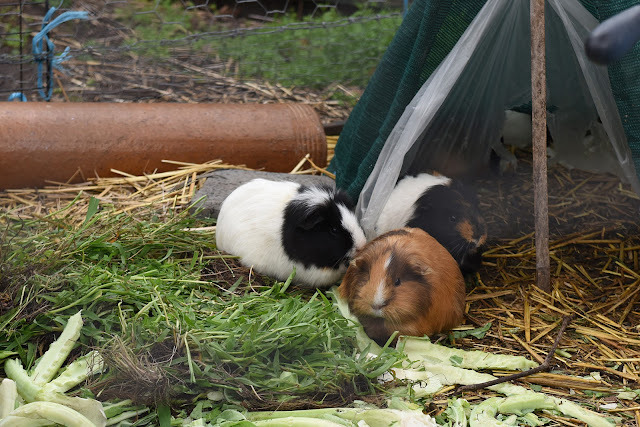 These guys are not laboratory housed guinea pigs, they're actually living in a community garden. In this day and age, animal welfare is pretty good, right? Take laboratory animal welfare, one of the most strictly regulated areas of animal care. In 1959, Russell and Burch introduced the concept of the “3Rs” replacement, reduction and refinement, which have since been implemented animal care guidelines and legislation. For those who don’t know, replacement pertains to methods which replace animals in research (for example, computer model). Reduction means using the smallest number of animals to ensure a scientifically valid result. And refinement means minimising harm in the process of breeding, housing and experimenting on animals. The 3Rs put the onus on researchers to ensure that experiments performed are absolutely necessary and the knowledge required cannot be obtained in any other way. They must ensure that the minimal number of animals used and that those animals are treated in the best possible way. So how are we doing? According to a paper presented at the European College of Behaviour Medicine and Animal Welfare congress last month, not great. Experts in welfare of laboratory animals, Kathrin Herrmann and Professor Paul Flecknell assessed over 500 de-identified research proposals involving recovery surgical procedures in rats and mice in Germany. They assessed anaesthesia, analgesia, post-operative monitoring, humane endpoints, methods of killing research animals and the severity classification of the procedures. Despite the 3Rs being codified and required by law, and despite the Animal Research Community claims to foster a “culture of care”, going above and beyond minimal requirements for animal use, the findings are concerning. Many animals received an anaesthetic which did not have any analgesic properties. Many had invasive surgeries, for example exploratory laparotomies or craniotomies. Even though surgical intervention generally cause pain to various degrees, 33% of mice and 29% of rats did not receive any postoperative analgesia; in 10% of the cases the head of the research project stated that he would give pain relief if he thought it was necessary. Since there was no evidence in the research proposals that the level of pain was assessed, it seems likely that these 10% of cases did not receive analgesics either. Of those animals that were given an analgesic, 13% of mice and 18% of rats only received this at the end of surgery (despite the fact that pre-emptive analgesia has been demonstrated to be superior). Humane endpoints (criteria by which it is decided that an experimental animal is euthanased for humane reasons) were not specified in more than half of the cases. Post-surgical monitoring was not up to scratch, with only 33% of applications specifying the frequency of post-op monitoring, and the majority of these suggesting monitoring animals just once per day. Only 13% of proposals provided clinical scoring sheets. Finally, carbon dioxide was still widely used for killing about 30% of mice and 40% of rats, even though it is established that this causes pain and distress. The big question, of course, is how are systems enabling this gross failure? Herrmann and Flecknell made a number of recommendations, including the use of preventative analgesia, the use of proper pain scoring and analgesic dosing according to pain scores, development of species and strain specific pain scores, proper cage-side pain assessment, the use of health-scoring systems and guaranteed attendance of laboratories outside of working hours. As they noted, however, these are all refinements. What is required is commitment to the replacement of animals in experiments. There is already extensive information documenting appropriate alternatives to animal use, yet very little funding exists to ensure that researchers utilise alternatives. The pressure to “publish or perish” leads many to undertake experiments with marginal if any benefit to humans or animals. And the fact that many ethics committees are often overworked and staffed by volunteers does not help. The moral of the story here is that we can have excellent animal welfare guidelines in place, but animal welfare can only improve if these guidelines are adhered to.